For over 150 years, Willmott Dixon has been delivering projects that create long-term, positive legacies of social, environmental and economic benefits. Committed to ‘Building Lives Less Ordinary’, the company prides itself on its drive for continued improvement, which is why it has sent a number of its staff to attend British Gypsum’s Site Manager training course. As a sector-leading, independent business, it’s essential that Willmott Dixon can create and deliver true value for its customers, stakeholders and communities. In looking to achieve this goal the company has taken a leading role in the built environment sector delivering sustainable and responsible projects across the country. To this end, Willmott Dixon was recently awarded The Queen’s Award for Enterprise in the category of Promoting Opportunity, recognising its work in leaving lasting community legacies, promoting social wellbeing and helping those from disadvantaged backgrounds into sustainable employment. 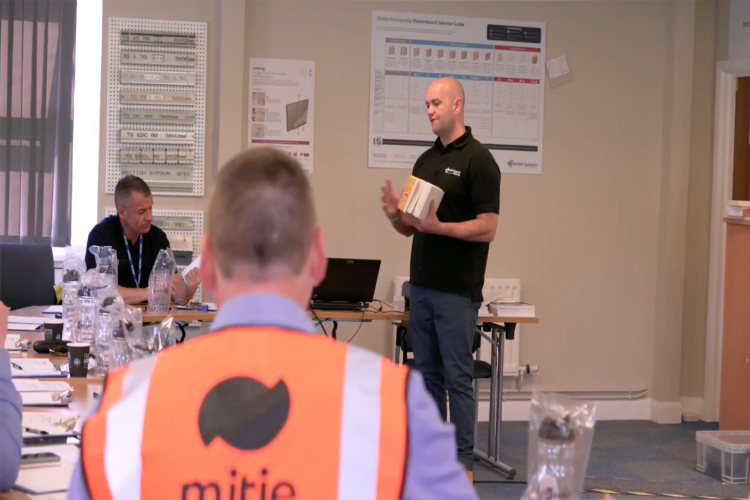 The business continues to identify suitable training opportunities and after evaluating the options, Graham Thornton, Quality Delivery Manager for the North at Willmott Dixon decided British Gypsum’s Site Manager training course was the most informative on offer. Graham recognised that the course could play an important role in the process of further educating site managers and the wider teams. 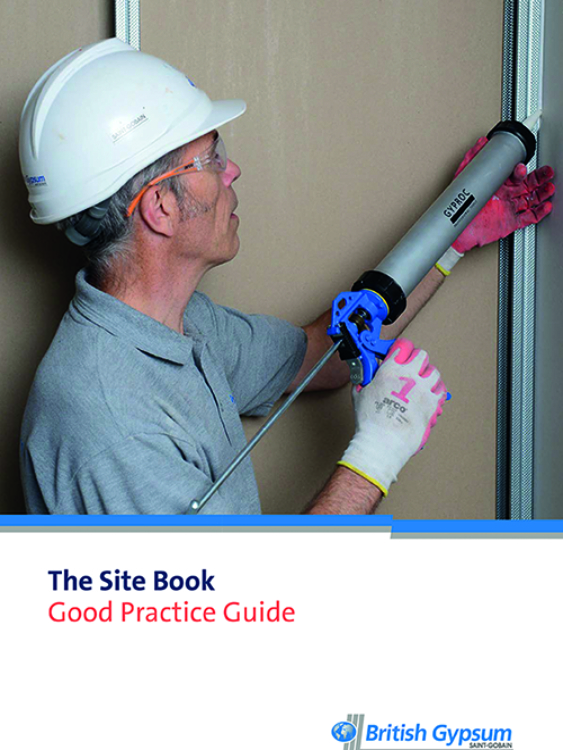 The Site Manager training course helps construction professionals to develop a better understanding of how to install interior systems. The course is accessible to construction professionals of all levels helping them to gain a solid overview of what’s required to ensure the company’s range of products and systems are specified, installed and maintained properly. Since first participating in the course himself, Graham estimates that he has since sent around 120 people on it. Willmott Dixon has a strong, open and positive relationship with its supply chain partners, underpinned by outstanding collaboration. Willmott Dixon has been able to use the Site Manager training course to improve staff’s overall on-site intelligence. 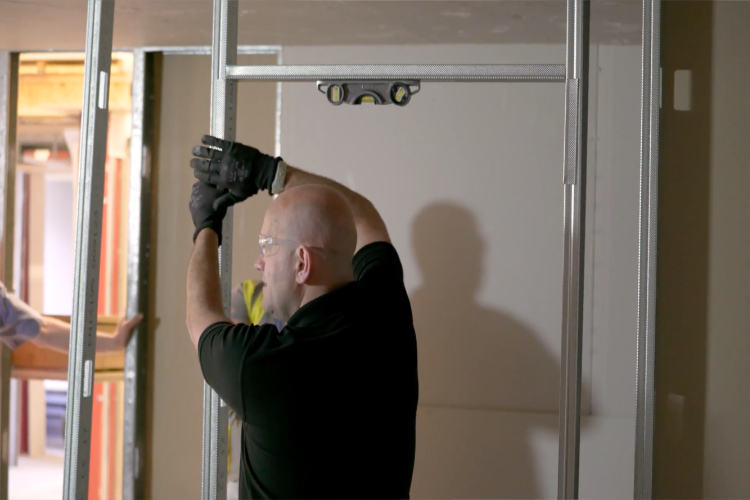 It’s helping the company eliminate mistakes from its processes, with staff now more confident in calling out mistakes that may be made during the installation. This is underlining the company’s ‘obsession’ with quality, which is stated in its ‘Building on Better’ strategy. 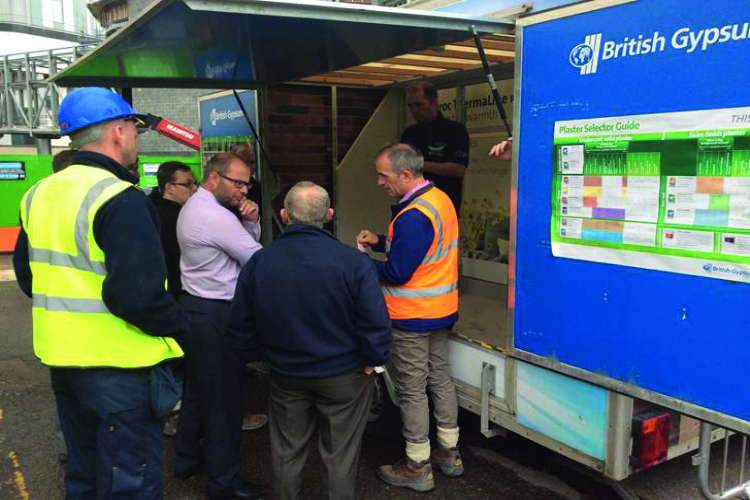 Similarly, through running the Site Manager training course British Gypsum is playing an important role in ensuring that product performance is not compromised at installation and that the added value is passed on to its supply chain partners. As with all of its training courses, British Gypsum offers the Site Manager training course through its national network of Technical Academies. The company can also deliver training at external regional offices with the support of a mobile training rig which allows practical demonstrations to be carried out while combining theory in a training room environment. Whilst no substitute for the one-day Site Manager’s training course, the mobile training allows main contractors to work around their schedules and doesn’t require the same forward planning as with an offsite training course.